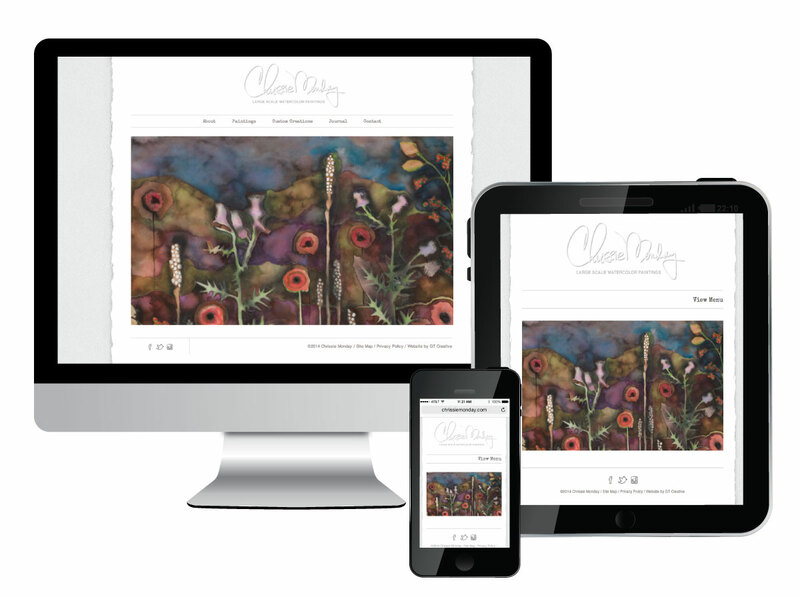 Chrissie Monday needed a website where she could display hi-res photographs of her one of a kind watercolor paintings. She wanted the paintings to stand out so everything else on the site was done in a very light monochromatic style. This site is built with a WordPress CMS so Chrissie can easily make text updates and add new pieces of work herself. We used Chrissie’s signature, traced it into Illustrator then applied an embossing affect to make her signature and name into a logo that can be used on her website and business cards.